During the 7 of 10 plate movements, the S America continent rolls to the West. The tip of S America is rooted at Antarctica, so it is the bulbous top part of the continent that tips over. Quakes are expected to occur all up and down the Andres, as the edge of the S American Plate rides up over the Nazca Plate. The Zetas predicted several large quakes along the Andes in 2010, when describing the S American roll. Since quakes are dumbed down by at least two magnitudes, the recent spate of quakes along the Andes are in fact magnitude 8-9. ZetaTalk Prediction 10/9/2010: Along the Andes, these quakes will be in the range of a magnitude 8-9, but lesser elsewhere. 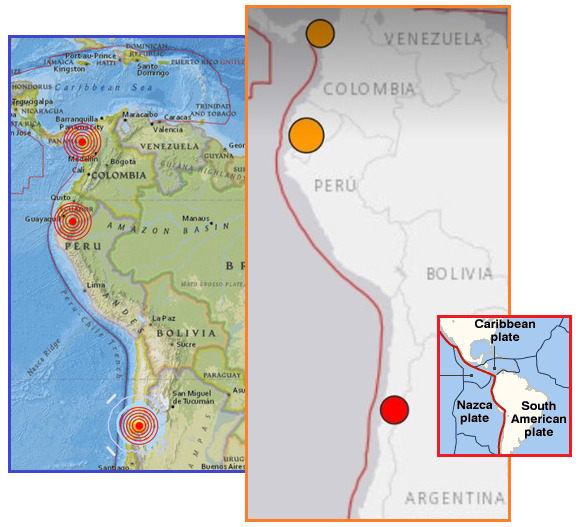 In that the Andes will rise, riding over the Nazca Plate to the west, no significant tsunami will be produced along the west coast of S America. All major cities in the mountain building areas will experience these great quakes - Santiago, La Paz, Lima, Qinto, and Bogota. 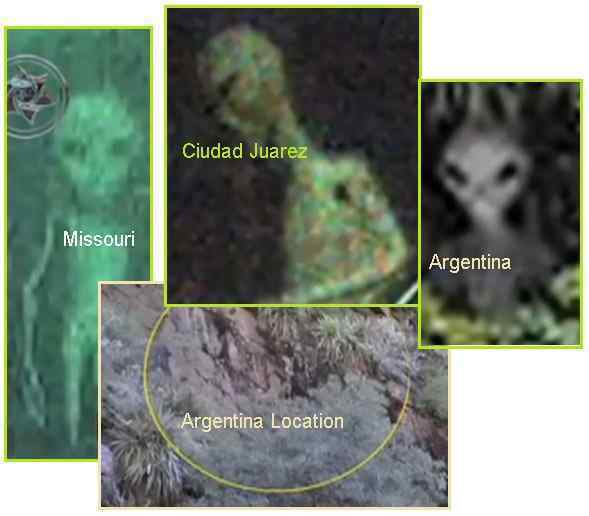 The little alien that has been making an appearance around the world – in Argentina, Mexico, Missouri, London, and ancient Egypt – has now been sighted in Russia. Same little guy, with very large eyes and sunken cheekbones, and definitely not into body building as very thin and slight. Non-threatening, as the Zetas have pointed out, and thus a good choice for its chosen role – introducing the alien presence to mankind via conscious contact captured on film. 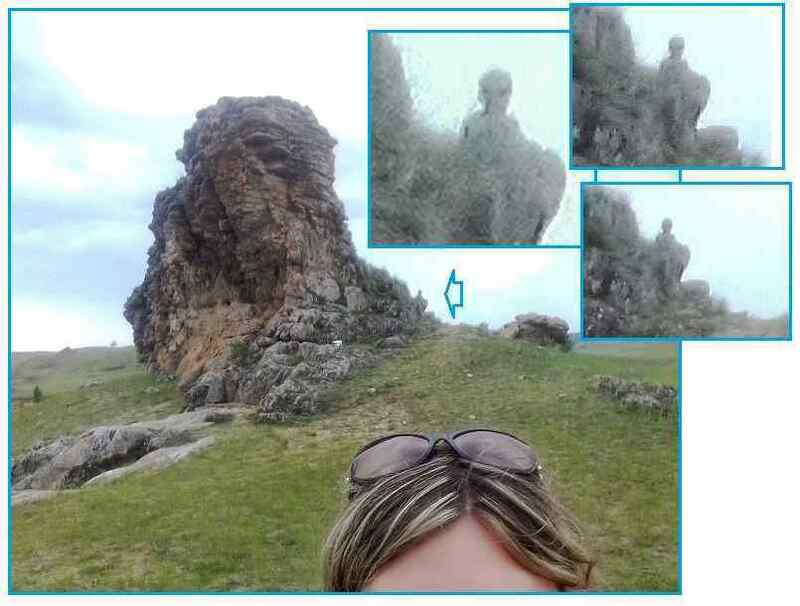 ZetaTalk Confirmation 9/30/2018: Is this an alien, perched on the rocks of Lake Baikal? Russia has over 40 different alien life forms in attendance, some of which are hominoid. 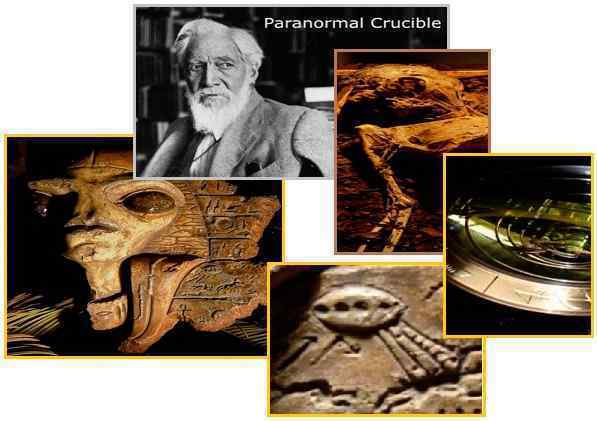 As we have often stated, aliens often appear gray because their colors cannot be discerned by mankind’s eyes, and this is true of mankind’s cameras too because only the colors man can see are incorporated into the technology. This little friend has been making an appearance regularly, in regions where Russians can expect to survive after the Pole Shift, and survive well. Is there a message? Welcome to clean water and temperate climes! As Nibiru approaches, drawing closer, the evidence of its presence becomes increasingly obvious. First, the Schuman Resonance blasts. 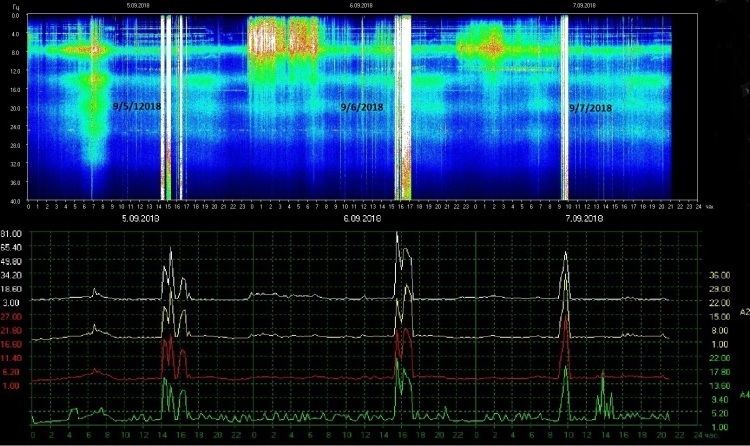 These charts, faithfully recorded on the Pole Shift ning blog dedicated to this matter, show how often, and how extreme the Schuman Resonance blasts are coming lately. Note the time on these charts is UTC+7. Normally at 7.83 Hz, they are ranging extreme for no ostensible reason. Of course, the reason is the magnetic blasts from Nibiru. Irritability, fatigue, nausea and dizziness occur as a result. This was last covered a year ago in Issue 567 of this Newsletter. 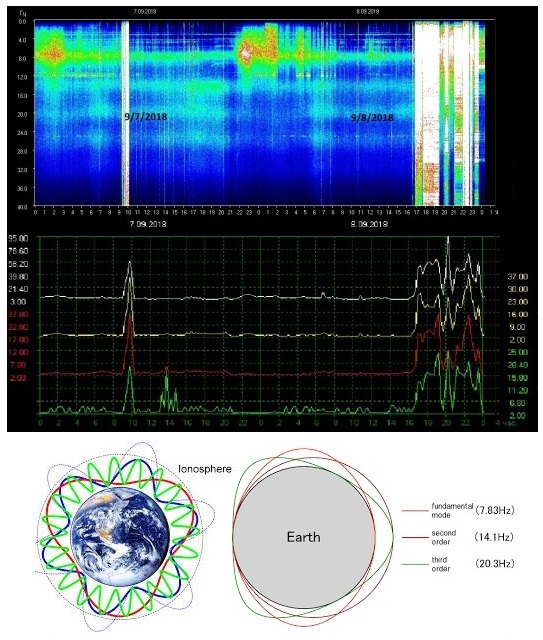 ZetaTalk Explanation 8/6/2016: The Schumann Resonance is an Earth hum, caused by a broad vibration of the Earth within its own magnetic field. Why is this becoming irregular at times, lately? There is a battle in the Earth’s magnetosphere, with the Earth wanting to align with the Sun but also being assaulted by a magnetic blast from Nibiru. Thus at times with a magneton overload, at other times with a throbbing pull to this or that side of the globe as the magnetons within the Earth, in the process of flowing through, are either in excess or of a dearth. How will this discord affect humans and other life who have become accustomed to the 7.83 Hz? Headaches, being dizzy or fatigued, or at other times irritable and energetic. None of this has long term health effects and all this will in time pass after the Pole Shift. Next, the Earth wobble, showing up as a sunrise or sunset out of place or arriving too early or too late. A Wisconsin resident faithfully records the sunrise and sunset times and location via the Azimuth. This is then compared to the official and expected times and location. This is the recommended method, given to the public, to see for themselves that an Earth wobble is in place. The history of these readings can be found on the Pole Shift ning blog dedicated to Earth Wobble mechanics. Of course, the Azimuth will vary by region, so develop your own chart and see for yourself! The Earth wobble also shows up on Alberto’s photos, taken in Italy. Photos of Nibiru are collected on the Pole Shift ning blog dedicated to this matter. The globe lobs over toward the East when the Sun is over India and then lobs over toward the West when the Sun is high over Italy. Were it not for this tilt to one side and then the other, Nibiru would be seen at the 4 o’clock position to the Sun. But from Italy, due to the tilt to the West, the viewers on Earth are seeing Nibiru at the 7 o’clock position. Still, the cover-up over Nibiru continues. At the end of July, in Issue 617 of this Newsletter, the Prongs were in the news due to the discovery of additional moons around Jupiter. These were going averse the direction in a retrograde moon group, going instead in a pro-grade direction. 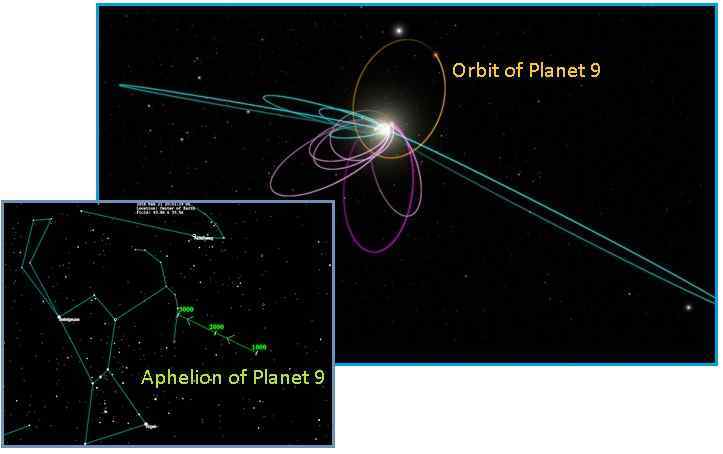 Now in early September a rash of Planet 9 articles have popped up in the main stream media, this time with a focus on Neptune and potentially using microwave to search the skies. As the Zetas stated in July, the Prongs are not dead! ZetaTalk Revelation 7/31/2018: Will the Prongs now be restarted? Note the emphasis in these articles published in mid-July. The Dark Energy Survey, something passing through the solar system large enough to smash Moons of Jupiter, and once again Planet 9 speculation. The Prongs are not dead! The gravity tug called Planet 9 is, of course, Nemesis, the dark unlit sun which is a binary of our Sol. The Zetas stated at the start of the ZetaTalk saga that Nemesis was 18.74 Sun-Pluto distances away, and Planet 9 is described as being 20 Sun-Pluto distances away. Nibiru is a traveling planet moving between and around both suns, in a sling orbit. It is currently within our Solar System, having arrived in 2003. 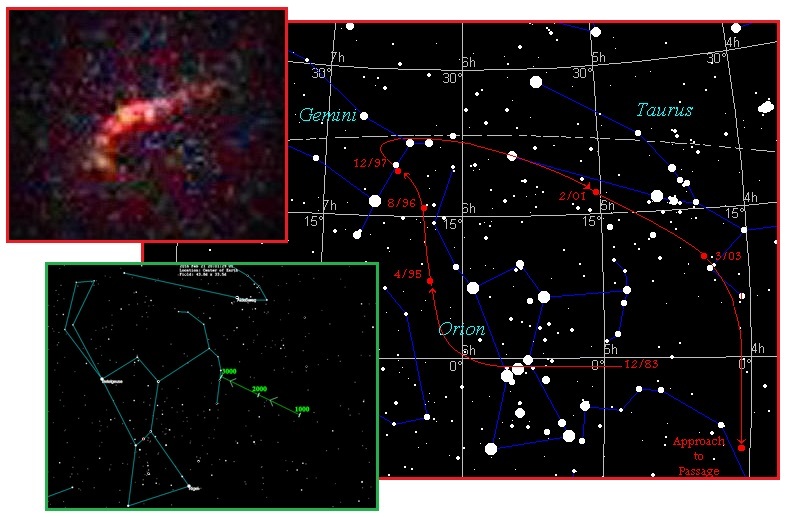 Note on the path diagram provided by the Zetas that the location of Nemesis (aka Planet 9) is where the Zetas stated Nibiru would be found in 1983, when it was discovered by the IRAS team via infrared. Since 2011 transport to and from the International Space Station has been via Russian shuttles, the Soyuz. 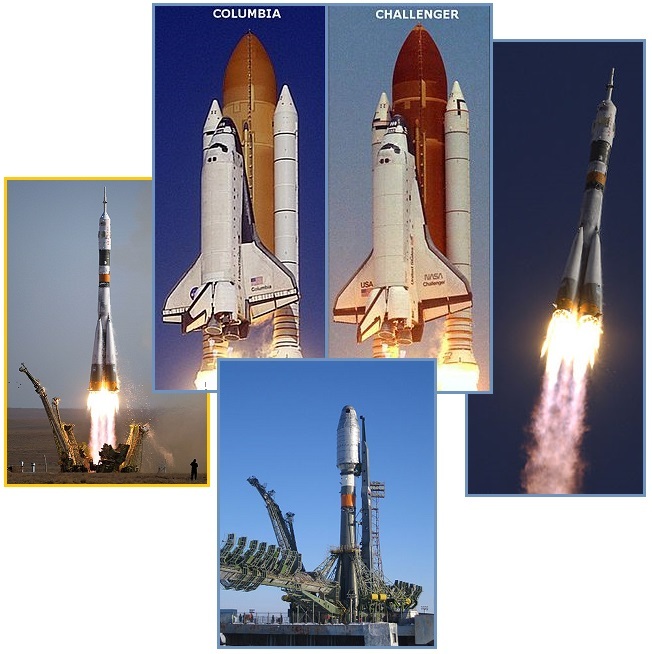 NASA had retired their Shuttles, which had launched from Kennedy Space Center in Florida. The Soyuz is a workhorse, widely used and respected. Soyuz deliveries to the ISS, which carry both astronauts and cosmonauts and guests from other countries along with supplies, are launched from Kazakhstan. The pod then stays attached to the ISS for 180 days in case a fast escape is needed, and then returns with cargo destined for Earth. ZetaTalk Confirmation 9/30/2018: The perpetrators drilling a hole into the Soyuz shuttle can be surmised by the known facts. The hole is too deep and precise to be caused by a meteor, which could nick but not evenly puncture such a hole. In addition, the meteor would remain to be found, as evidence, as it would not have gone in and out, only in. That it was caused by a drill can be seen by scrape marks near the hole. 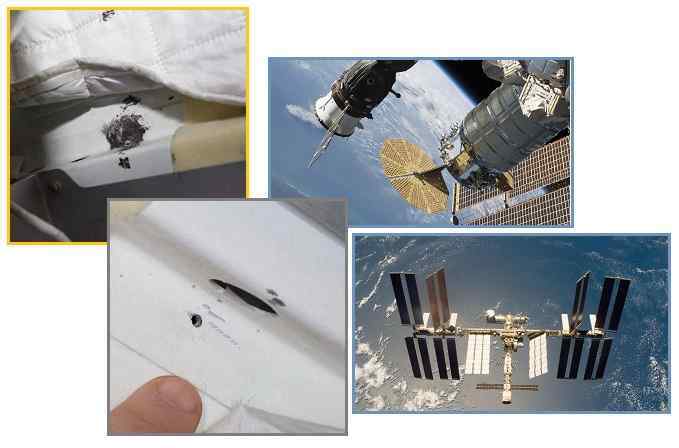 Drilling into metal is not a silent operation, which excludes any drilling being done on the ISS itself. Cargo is moved on and off the Soyuz, but no drilling is required.